When we’re not covering the chicest celebrity airport looks, we’re sharing our traveling secrets. 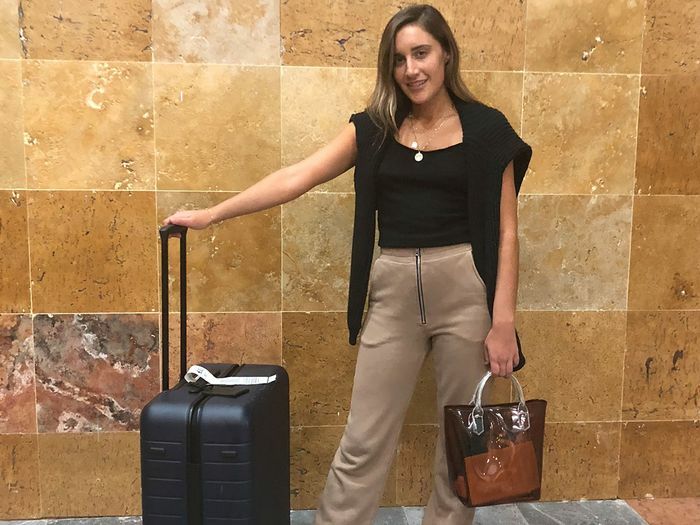 Exhibit A: the time editor Aemilia Madden packed two weeks’ worth of clothes in a carry-on. Exhibit B: MyDomaine editor Sophia Miura’s signature airport outfit combination. And have you ever tried this three-bin theory while going through your TSA screening? (You’ll notice it the next time you travel, I promise.) Today I’m adding to our list of editor-approved traveling tricks by sharing the one item I travel with no matter what. Over the past few months, I’ve traveled to Florida, Hawaii, Mexico, and Greece, and on every flight, I’ve worn an oversize Forever 21 sweater I’ve had for probably six years now. It’s safe to say it’s now stretched out enough to work as a blanket or pillow in-flight. (Since the piece is pretty lived-in, I’ll admit that I don’t wear it as a sweater anymore—it’s now strictly my “airport accessory.”) Like this travel trick? 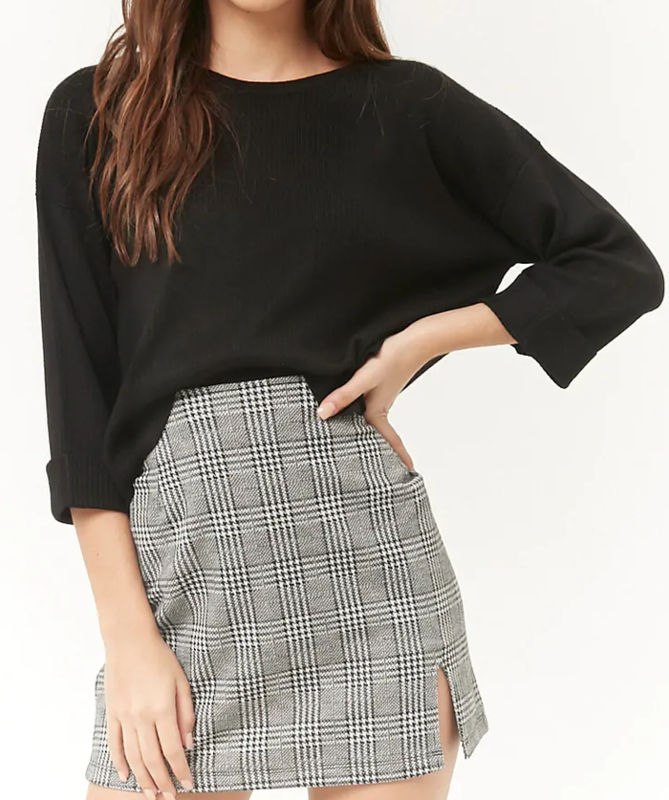 The exact Forever 21 sweater I own is no longer available, but I found a similar option for you—shop the lookalike below, plus more of my travel essentials. To receive more of my stories on the latest fashion trends and style tips, sign up for our daily Who What Wear newsletter.